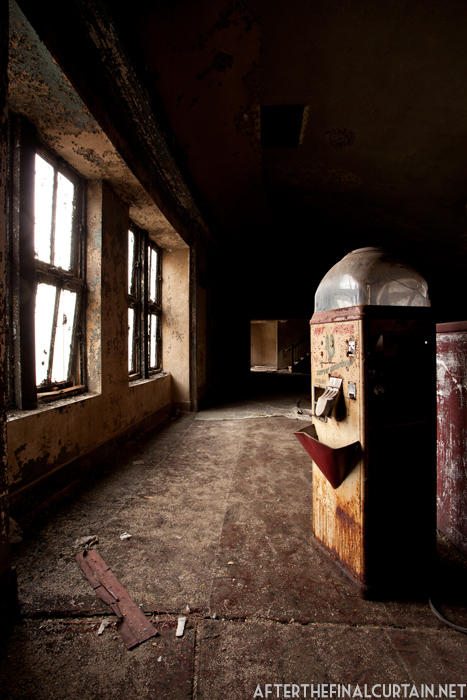 A now antique popcorn machine was left behind when the theater closed. View from the side of the mezzanine. 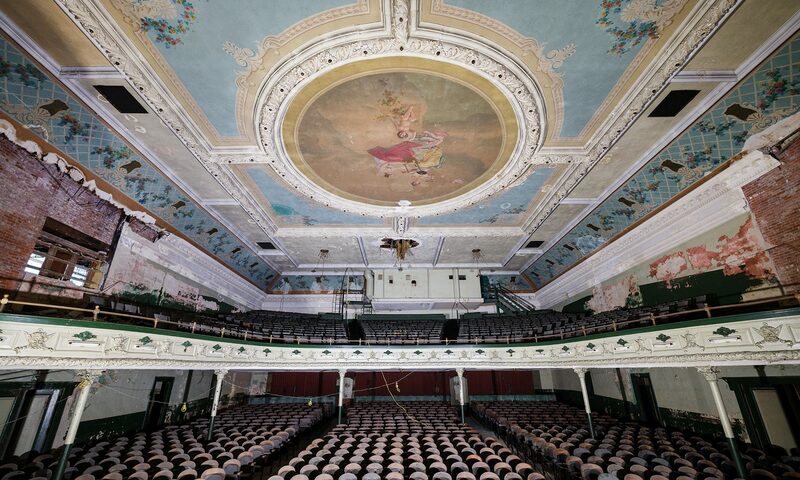 Originally, the Palace was a vaudeville theater. The theater eventually switched over to exclusively movie showings, but the occasional vaudeville show — such as Bela Lugosi’s“Horror and Magic Show” — still played there. Shortly before his death in 1929 F.F. Proctor sold his company to Radio-Keith-Orpheum Corporation (“RKO”), and the name of the theater was changed to RKO Proctor’s Theatre. The Palace was closed in 1968 when RKO merged with Stanley Warner, who owned Newark’s larger and more profitable Branford Theater. The lobby has been renovated and is currently used as a shoe store. 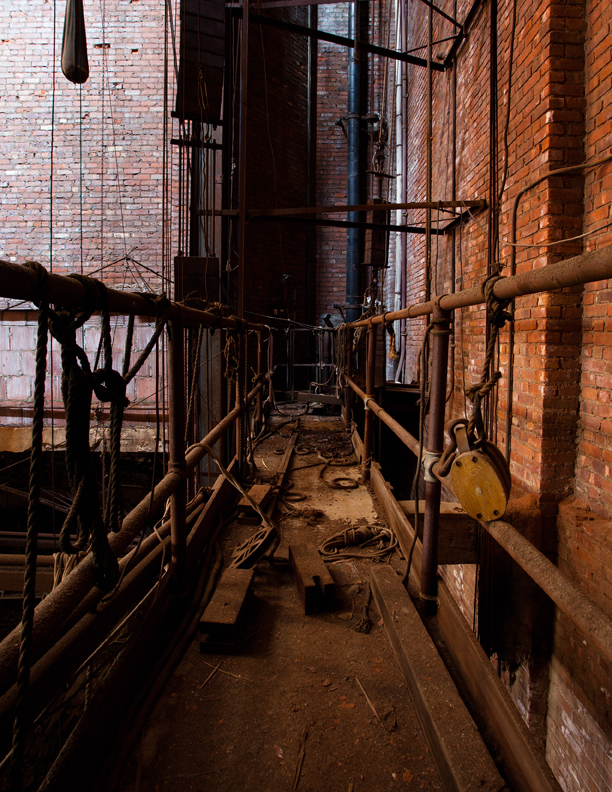 The rest of the building remains vacant and after years of neglect has started to collapse. Due to the damage from the collapsing ceiling, almost none of the ornamental details remain. Incredible stuff, thank you for sharing! Great as usual. That place looks dangerous to be walking around in though! What an astounding body of work you’ve compiled. 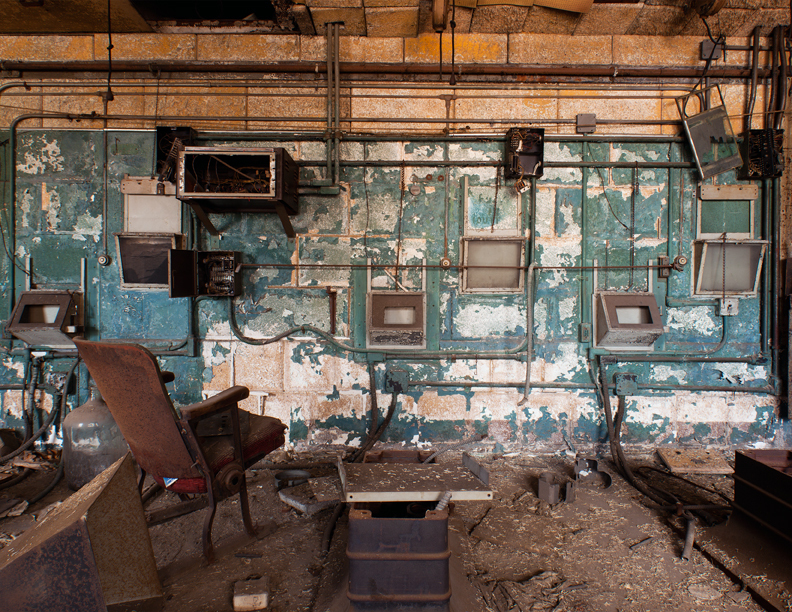 This series of photos is just incredible, and I love the accompanying blog entry for it. I agree with ArcAngel, though, this work looks to be incredibly dangerous!! But regardless, if not for you photographing all this, the entire block of history would soon just be a whispered tale… I am so happy I found you on Twitter and really look forward to your posts. Great work. Incredibly sad. It was probably magnificent back in the day. 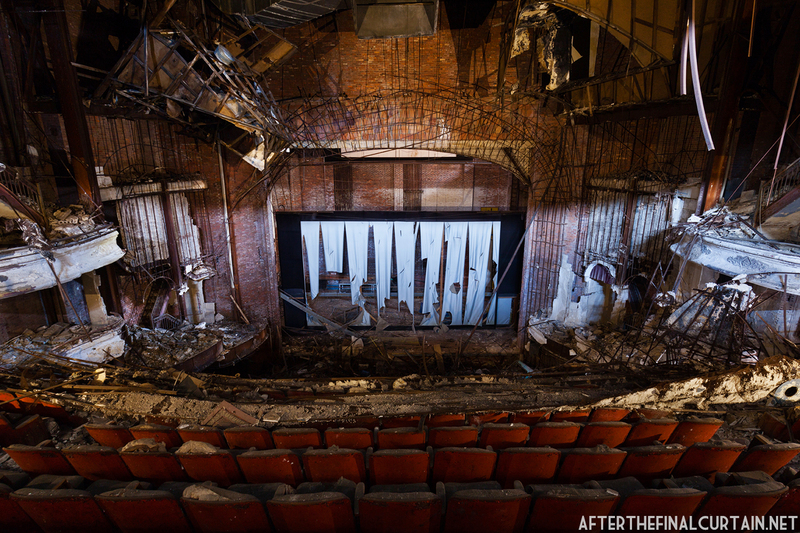 I have a fascination with old theaters. I don’t know why. Everytime I see evidence of a former movie house I get a lump in my throat. It’s so sad to see so many now doing time as supermarkets or cheap bargain stores. I went to see the Adams in Newark and asked if I could take pictures but I was sent away. I’m the same way. I’m constantly pointing out places that used to be theaters to my friends. The Adams is a tough one, hopefully one day they’ll let people take a look at what is left. I share your though’s and feelings, not only for those palace called theaters, but for the old buildings as well, they have such a magnificent art all over and is so sad for me tho see many of them abandoned they should restore them but not to be used as a swap meet or cheap stores, how bout as a dance, music or art school. I wish I where millionaire to buy as many as I could and restore them to their original magnificence. 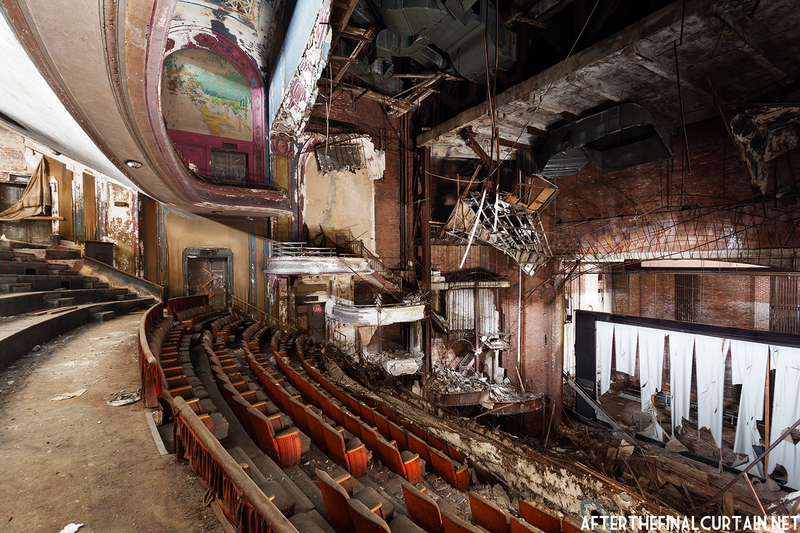 I like your blog, I’ve seen many of your posts and it’s incredible how many abandoned theaters there are. Great to imagine how they looked like when they weren’t abandoned. Very entertaining! 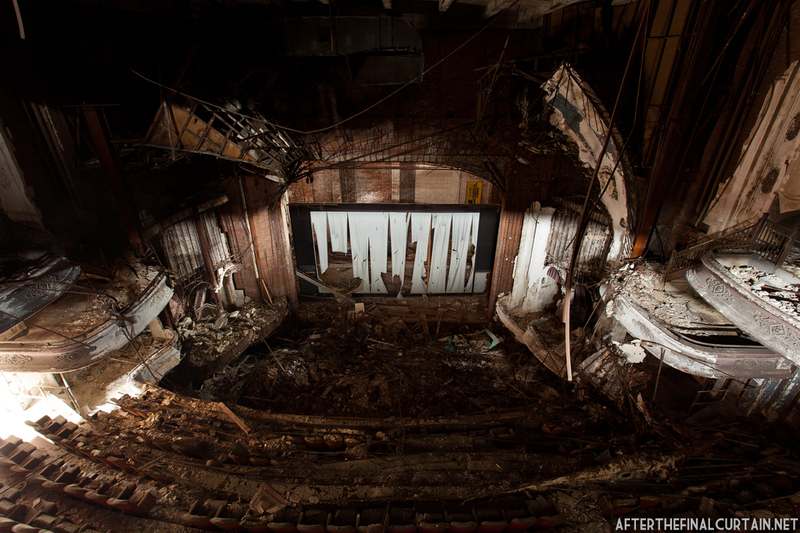 I went to these theaters years ago and they were palaces, not like the cookie cutter theaters of today. It saddens me to see these buildings today. If you see what business are in front of these buildings now, you’ll really be sad. At least we can go to the Lowes in Jersey City and experience what a classic movie house was like. I remember going to the Branford, Paramount, Loews and the Adams Movie Theaters as a child. The popcorn and hotdogs were so good. I long for the nostalgic taste of that time in a all beef frank hotdog. The theater started showing kung fu movie’s before they all closed, I wished they were still open so my children could’ve seen those movie housesb in operation. Great shots ! I was wondering if anyone has any photos of the original (1915) exterior or interior of the building ?? Visit ww.OldNewark.org, which may have earlier photos of these theatres. And the Newark Museum and Newark Library. Originally, the Palace was a vaudeville theater ? I was an usher at the RKO in 1956. 16 years old and 35 cents an hour. In the second theater up on top they had stacks of movie posters going back to silent movie days. We took them into the basement and burned them in the furnace, No one wanted them. Remember Wings posters, Gone With The Wind and hundreds more. Wish I knew but just a kid. Wow George, those posters would be worth thousands today. The thinking back then was that no one would ever see those silent films again. Same with film prints and negatives, when sound came in the studios thought no one would ever see silent films again so they destroyed most of their prints and negatives, A huge amount went to create the Burning of Atlanta scents of Gone With The Wind. Film then was nitrate and very flammable. This was the main reason why about 90 percent of US silent movies no longer exist. An art form all to itself all but extinguished by lack of foresight. It is the reason we need to protect the remaining film technology of today that has served the industry since the 1890s lest that disappears too. 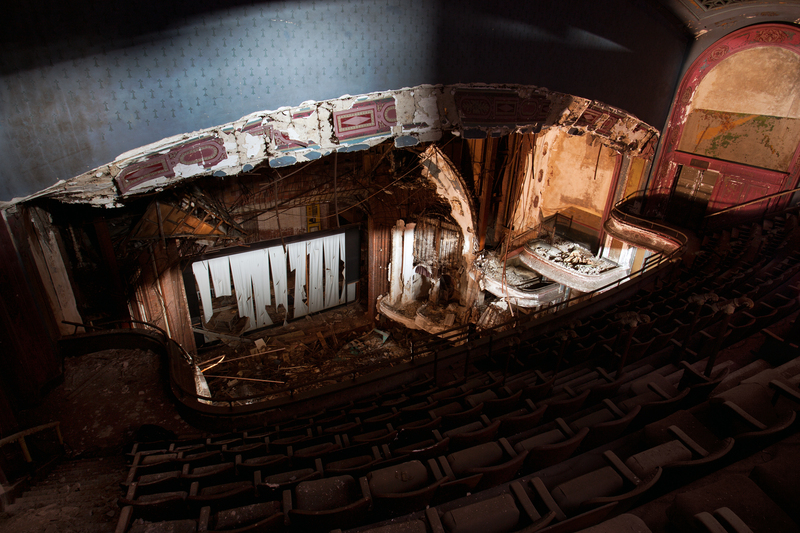 Wonderful blog Mathew, and what an amazing history the Proctor’s Theatre has. In Australia hundreds of movie theatres closed after the introduction of TV in the mid 1950s. 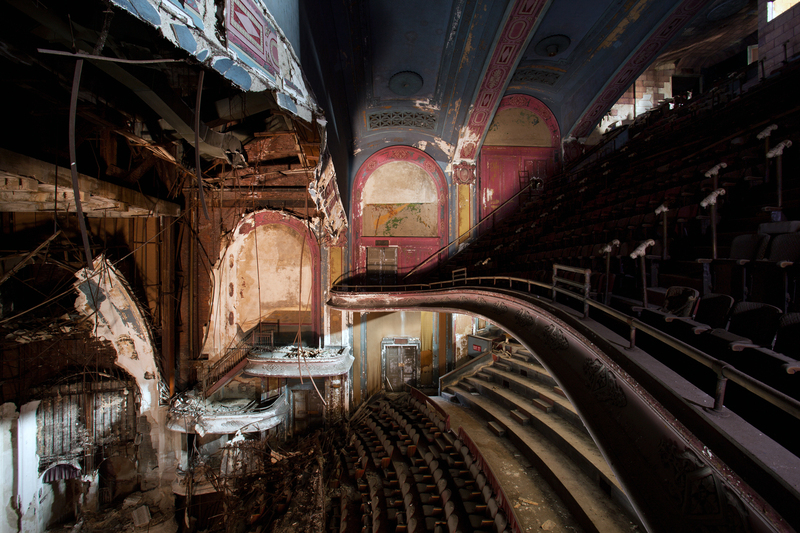 What is strikingly different to old theatres of America is that in Australia usually within weeks of closing down the theatres were demolished and replaced with car parks, petrol stations, supermarkets etc. 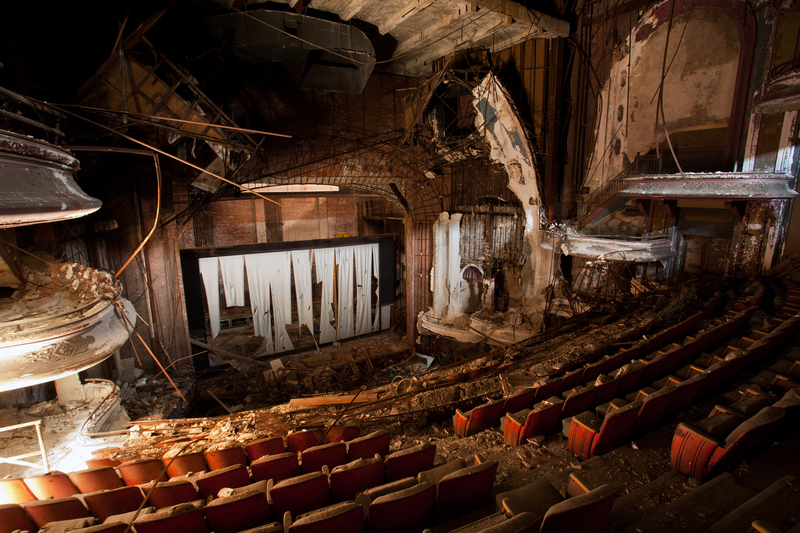 Whereas in the USA there seems to be some glitch in the legal matrix that determined that many of these theatre edifices remain derelict to this day. Does anyone have an explanation about how this comes about. The real estate value should far outweigh the cost of demolition.